Sage Software have released their service update 9 for Sage MAS 90 and MAS 200. These service updates are cumulative and contain all prior fixes. 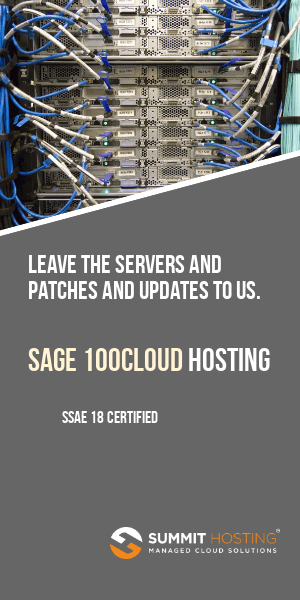 To update your Sage MAS 90 or MAS 200 please first make a backup, verify that you have no third party enhancements which may require and update and then download the fix from our link below. As a general rule of thumb we recommend that if you are NOT experiencing any issues with your Sage MAS 90 or MAS 200 that you not install the update UNLESS advised to do so by a competent Sage consultant. Generally we always update to the latest service update prior to calling Sage for any technical support issues because their advise will almost always be to update to the latest release. We recommend you always work with a competent Sage Business Partner to assist in updating your software. Please always back up your data prior to any major updates.